Got cancer? 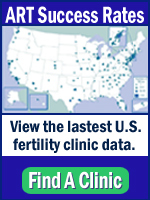 You can probably get your IVF covered. Gestational Surrogacy: Why not for money? Is your IVF lab prepared for a natural disaster?